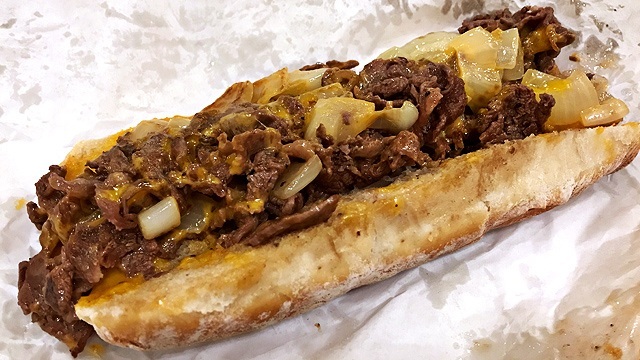 New location, same delicious cheesesteaks. 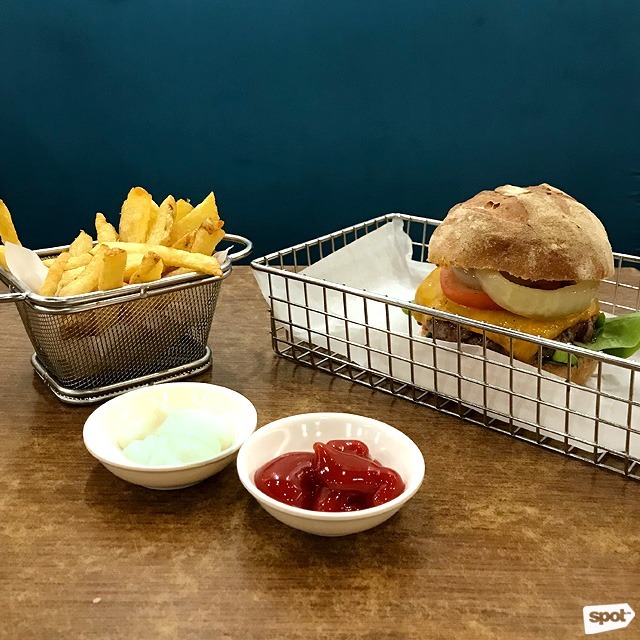 (SPOT.ph) If you hadn't heard, Elbert’s Sandwiches in Alabang has closed down, leaving a void in sandwich fans’ hearts. 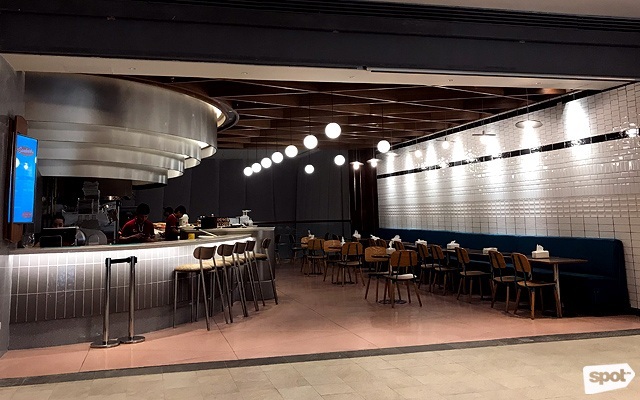 Luckily for everyone, the wait for a new sandwich joint was mercifully shorter than we'd anticipated—just a few days after announcing that the Alabang branch is no more, they’ve also quietly opened Elbert’s Sandwich Shop in Rockwell. Power Plant Mall was the first home of this sandwich joint, then known as Elbert's Cheesesteak Sandwiches. 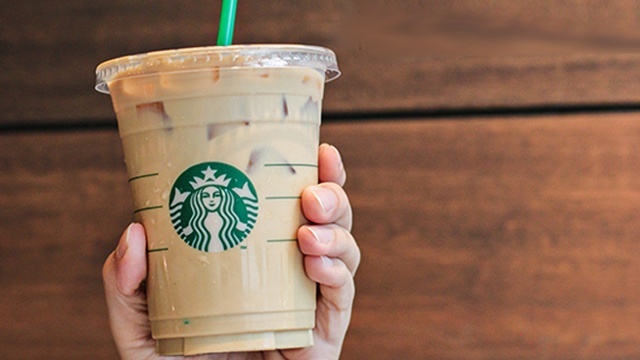 This time, they’ve opened their latest branch at the mall’s new wing, with a turquoise-and-light-wood motif that's easy on the eyes. 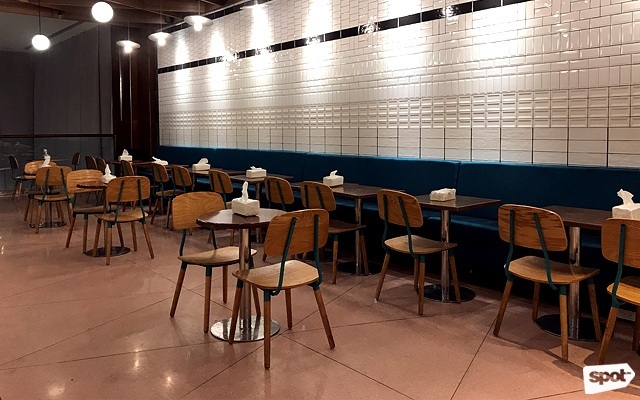 There are also comfy couches and seating by the counter, perfect for solo diners. 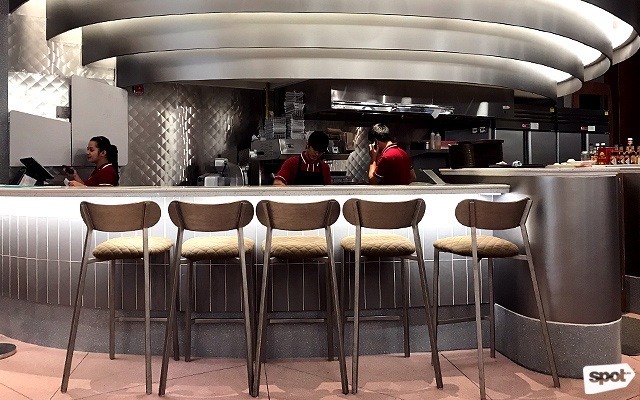 They’ve pared down the menu to just the classics and a few twists, though once you have the Cheddar Cheesesteak (P410/classic, P320/hoagie or five-inch roll with lettuce and tomato), it’s pretty much impossible to think of anything else. The white-bread roll seems to have been buttered liberally then stuffed with steak cut into thin, tender strips. The savory mix of steak and grilled onions with a whisper of butter is more than enough to delight the taste buds, but add in melted cheese and this sandwich practically bursts with rich goodness. 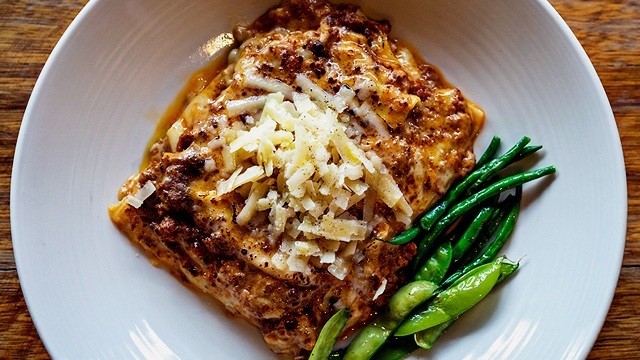 For less than P50, you can also upgrade your cheddar cheese to a smoky provolone. 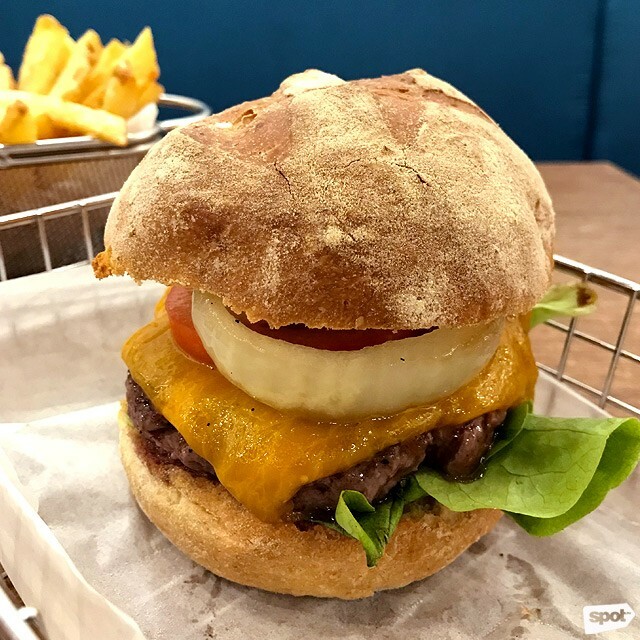 The House Burger (P250) is as classic as it can get, but there’s nothing ordinary about its messily juicy beef patty, which you can get in either medium or medium well. The patty is sandwiched between two toasted buns that have a light crunch and a pillowy soft interior. The lettuce, tomato, and sautéed onions are more than enough for this hefty baby, but add Cheddar (P50) or Emmental (P100) if you want to treat yourself because you deserve it. 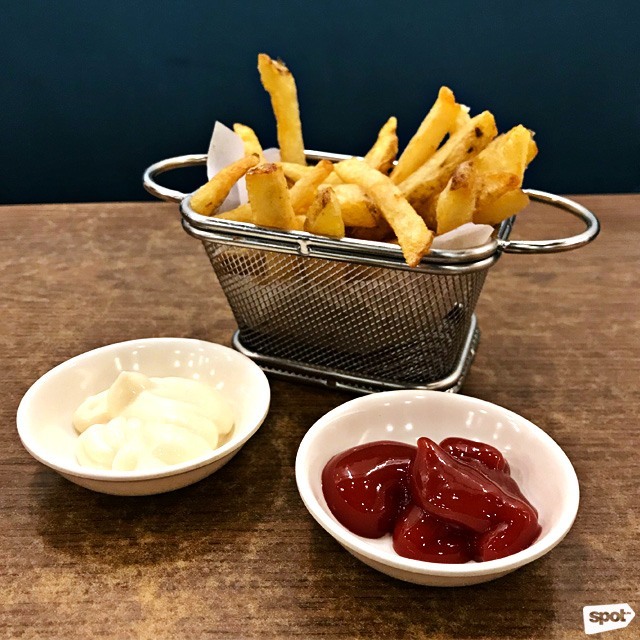 No burger’s complete without some sides to munch on, too, so upgrade your meal and help yourself to a serving of Famous Fries (P90), thick-cut and crisp, or Beer-Battered Onion Rings (P90). Those familiar with Elbert’s Sandwiches in Alabang will notice the changes on the menu—the Pulled Pork Sandwich or Lox and Bagel are currently not on offer, but you can still find old favorites like the Tuna Melt, stuffed with yellowfin tuna from General Santos City, which you can also get with premium mayonnaise and your choice of gooey Cheddar (P250) or Provolone (P280). The Truffle Mushroom Melt (P290) is a lighter option but packed with umami from shiitake and white mushrooms, mozzarella, provolone, and a truffle sauce between buttered sourdough buns. For rice-loving folks, sandwiches can seem like a second-rate lunch option—something you’d eat, perhaps, if you’re looking for something relatively less filling. 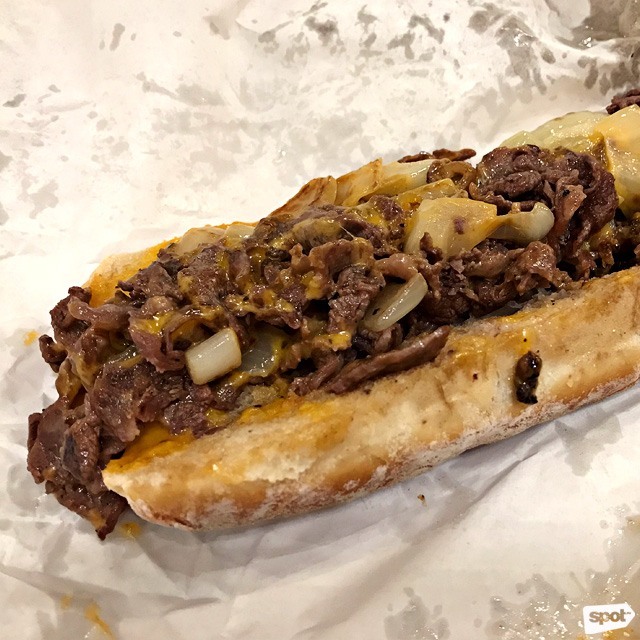 The cheesesteaks, burgers, and sandwiches at Elbert’s could change all that—these heavyweights, both in size and flavor—are no second-stringers.